This week we have been working on some color recognition activities. 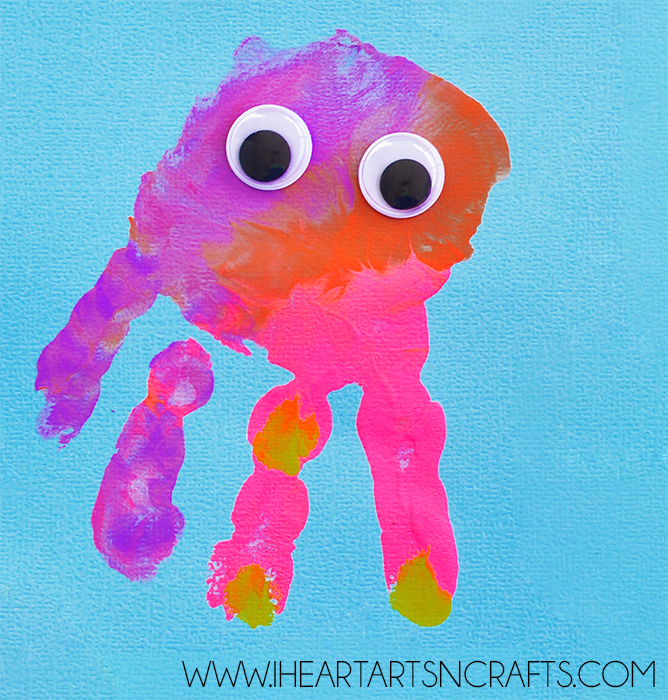 Our Handprint Jellyfish art combines color sorting and some fine motor skills. I did this activity with my 3 year old but it can be adapted for younger kids. 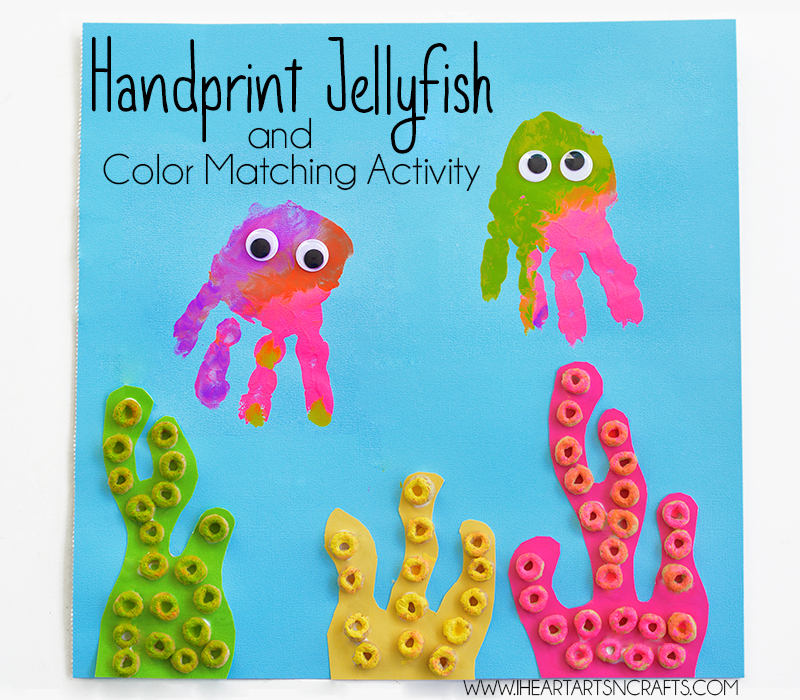 To start with the handprint jellyfish pick out the colors you’d like to use. 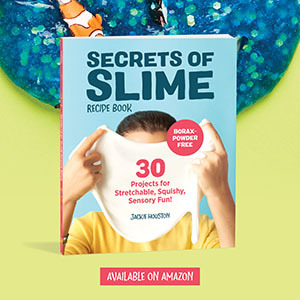 We squirted a few different colors onto a paper plate and then I had my son press his hands onto the colors and then onto the paper, just make sure that the thumb is left out of the paint. Next glue on some googly eyes. Take a few different colors of card stock, then trace and cut out your shapes for the coral reef. Glue them onto the bottom of the picture. 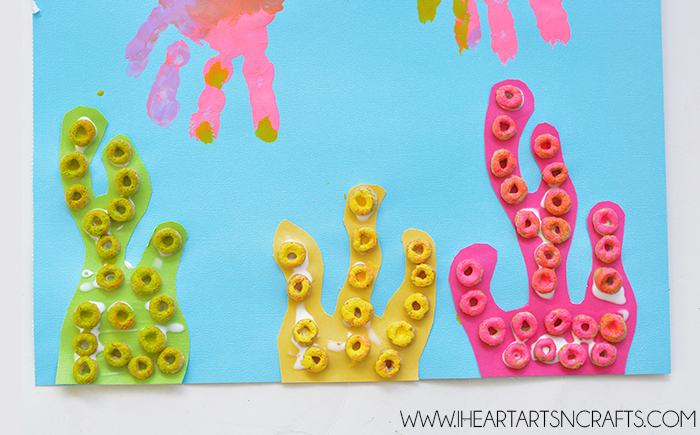 You can use Fruit Loops for the next step, but we had Cheerios on hand so we painted them the colors of our reef. Then your child can start gluing and sorting the colors to each of the different coral reefs. I love how simple this activity is to make, and my toddler was so proud of his color sorting! If you’re using this activity for a younger child you can skip the color sorting and just have them glue on the cheerios and let them get creative!